The summer is almost over, and if you’ve spent the season debating 2015’s Song Of The Summer with your friends, fear not: Spotify is here to settle the matter definitively. 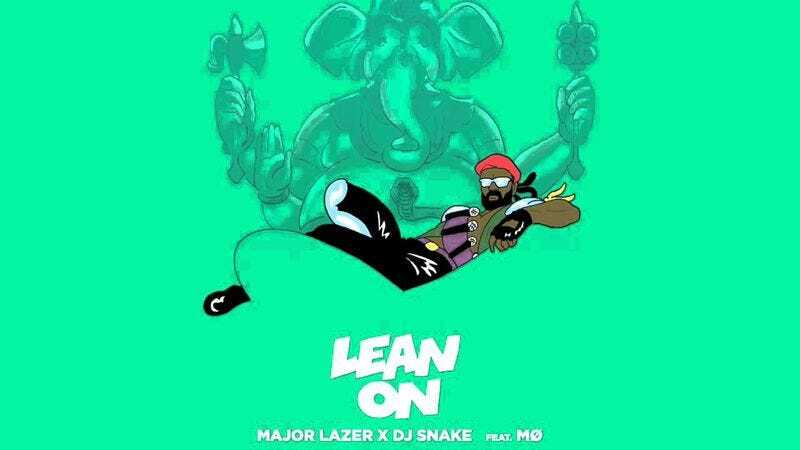 According to the Associated Press, the music streaming service has declared Major Lazer’s “Lean On” as the global Song Of The Summer using a highly complicated mathematical algorithm (it was just the top-played song globally this summer). “Lean On” also features MØ and DJ Snake on the EDM track. It’s worth noting that the single was released all the way back in March, so if any artists are eyeing the Song Of Summer spot for 2016, they better be in the recording studio now. Coming in second place worldwide, OMI’s “Cheerleader” (the original, not the belly-slap version) just narrowly missed the coveted Song Of The Summer spot. Wiz Khalifa’s “See You Again,” featuring Charlie Puth, came in third place on the global charts. But in the United States, “Lean On” was the third most-streamed song for Spotify subscribers. The Weeknd scored the U.S. Song Of The Summer title with “Can’t Feel My Face,” as well as the runner-up spot with his haunting track “The Hills,” making The Weeknd the clear Artist Of The Summer for U.S. listeners. Fetty Wap, Jason Derulo, Avicii, Kygo, and Silentó—whose debut single would probably have won Song Of The Summer if Vine data were the metric used—also made Spotify’s Songs Of The Summer list, according to data released by the streaming service.